How to Get Huge Traffic From Facebook Using Social Media Optimization ? Get Traffic from Facebook 2016 & 2017: We all know that Facebook is the most popular and the most important social media platform for many tasks these days. And the population in this Social Media ( Facebook ) country had crossed several billion and even increasing now day by day with huge famine. According to several Business Marketing Experts, Facebook is the ultimate brand ambassador for all online traffic sources. It is as popular as our search engine like Google & Bing etc., Facebook is so useful to many tech bloggers, Business men, Product sellers, Friends, Family and for several members and activities. Already several tech bloggers all around the globe maintaining several awesome Facebook pages and profiles. A lot of people are using some best social media tactics and earning good amount of pennies into their bank accounts by drawing traffic into their blogs & products. So here I am elaborating this article about how to attract Facebook users to your blog into your website visitors. I Know most of the bloggers neglect social media posting activity but it is really a foolish thing if you are doing because it also increases the search engine visibility. This FaceBook Tricks 2017 will definitely make your pages index faster in any search engine. This article will be helpful to all New Blogging Birds and to the people who don’t about SMO and how this thing (SMO) actually works. I can simply say that SMO ( Social Media Optimization ) is getting traffic and optimizing your blogs for social media is called as Social Media Optimization (SMO). But this thing is done by using various strategies and new tactics. Always use Creative Writing Tips to get a lot more traffic from Facebook and any other social media. 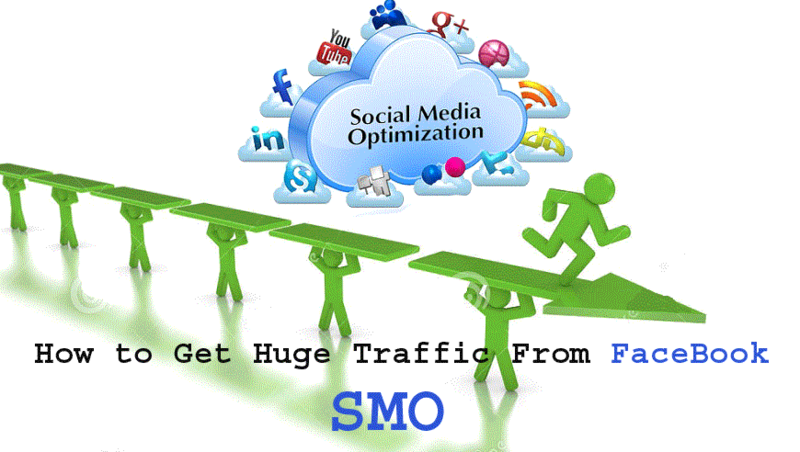 Persons who know SMO and know how to optimize Social Media Traffic can earn huge dollars into their account pockets. These days Social Media like Facebook Marketing drives huge traffic than all other Social Media Platforms. So Get, Set Go for Dollars from Traffic. I think even you also a Facebook Member of the billion Facebook population. You are in the 80% users of the internet world. What I want to say is Facebook is using the world’s 80% of the population. So we all are having Facebook ID. So first make a Facebook page for your blog/site and promote it by paying some little amount of pennies or mostly you don’t need to pay. Just post and share it all your internet friends, family, and social media strangers etc..
Focus on increasing Facebook likes on your Facebook page. It definitely drives nice traffic to your web blog. You can use all your Fan pages of Facebook to get Good Traffic & You can even pay to Facebook administrators to promote your website up to your requirement. Coming to the conclusion, SMO is the main thing every blogger should never neglect. It also increases Blog DA ( Blog Domain Authority ), PA ( Blog Page Authority ), CF ( Citation Flow ), TF ( Blog Trust Flow )etc..
Paying pennies for Facebook is the ultimate way at the starting point for new bloggers to improve page views for your blog but I recommend you to improve friends in your Facebook account and improve your blog traffic rather than spending pennies at first if you are a new blogging bird. If you are the affiliate marketer, then spending money is awesome from the starting point to the ending point in your internet blogging career. My self Pavan Kumar Sake. I am a Blogger and Tech Geek who loves tech stuff a lot. I am the founder of GoogleWords.Net, AllTechScience.Com Blogs. Apart from that, I am an electronics engineer & Plant Protection Act Volunteer & Physics Research Enthusiast.